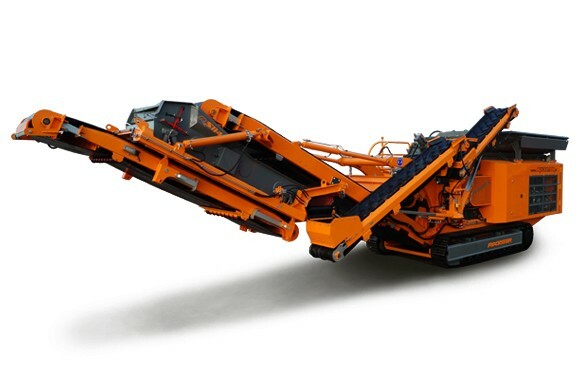 The latest development in the crusher range of Rockster, the impact crusher R1100DS has already successfully established itself on the market and ensures the best final grain. The Rockster Impact crusher guarantees highest performance at a very high crushing ratio. Due to 2 hydraulically adjustable swing-beams, as well as variation of the rotor speed, the final grain can be optimally influenced. The quality of the hammers is chosen individually, depending on the application and can be used bilaterally. High quality wear materials ensure reduced wear.